Heaps Decent was founded in 2007, when Sydney DJs Nina Agzarian and Andrew Levins teamed up with prolific American producer, Diplo (Wesley Pentz). 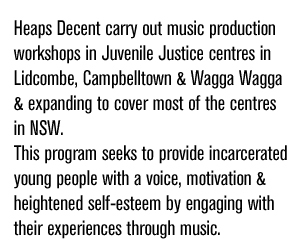 Together, they ran music workshops in the Riverina Juvenile Justice centre in Wagga Wagga, NSW. A few months later, they took female pop icon M.I.A. to Juniperina all-girls Juvenile Justice centre in Sydney’s western suburbs. Here, Nina and Levins experienced first hand how music and storytelling can change lives. Since its outset, Heaps Decent has successfully enlisted the passion and talent of renowned guest musical facilitators, including: Diplo, Aloe Blacc, T.E.E.D, AC Slater, Lykke Li, M.I.A., Sinden, A-Trak, video artist Ghostdad, DJ Medhi, Spank Rock, Devlin, Lady Sovereign, Brodinski, Cool Kids, Busy P, 12th Planet, Jack Beats, Tiga, DJ Craze, Jesse Rose, Gina Turner and more. 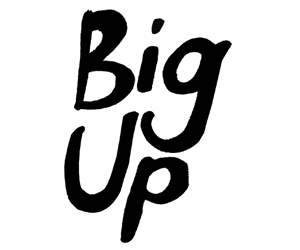 In 2008 Fuzzy, organisers of Australia’s premiere music events, joined Heaps Decent as a key partner and benefactor. Fuzzy have continued to provide stability by committing an annual cash donation, as well as partnering in the successful Cash for Comp fundraising scheme. Twelve years on, Heaps Decent has helped create well over 1000 songs with talented young Australians from radically diverse backgrounds: from First Nations girls on the Marrickville streets to young men who have dropped out of school; from 4 year olds in Wilcannia to 22 year olds in Redfern; from Bunbury in WA to Santa Teresa in the NT. Young people have been empowered to tell their stories in music through workshops, performances and mentoring schemes. They have performed in front of thousands at Fuzzy’s events, and at the Sydney Opera House in an innovative multimedia event. Their songs have been played to a wider audience on our weekly FBi radio segment and their music videos have even been played on the ABC’s Rage. Heaps Decent currently offers ongoing music programs at multiple locations including schools, juvenile justice centres, drop in centres and studios as well as running distinct arts projects with partners such as Shopfront Contemporary Arts and Performance, the Sydney Opera House and the Department of Juvenile Justice. Heaps Decent is a public company limited by guarantee, has a board of Directors and operates under a ratified Constitution. Heaps Decent holds Tax Concession Charity status and Deductible Gift Recipient status granted by the Australian Tax Office and is a not- for profit organisation. Goals for the future include; Increasing the recognition of First Nations artists to create a more integrated music scene and quality new music. Improving the lives of young people by providing positive opportunities and resources that engage and develop their creativity. Engaging and connecting young and emerging artists through a significant web presence that allows collaborations across distances. To be a HUB for the creation, promotion and development of new music for young and emerging artists. 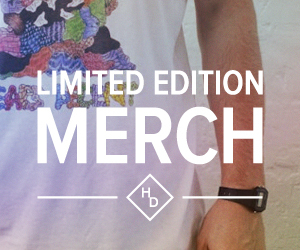 Heaps Decent has become, and will continue to be – a powerful force for change. *In accordance with legislation regarding the protection of young people in Juvenile Justice Centre’s identities, Heaps Decent makes every effort to conceal the identities of the young people in Juvenile Justice Centres that we work with. No material is published by Heaps Decent without prior consent.